You take you iPad on the road with you and now how to you keep the charge up and how do you get your music to the radio if you don’t have and aux port? This will do this is and FM transmitter so it will transmit you music to your radio and on the same time charge you iPad to. If you have an iPad then this is the item you need to have for your next road trip. 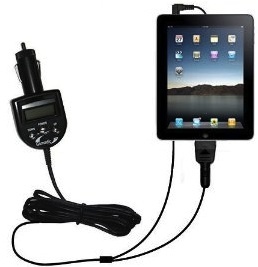 Check out thisiPad car charger and FM Transmitter.